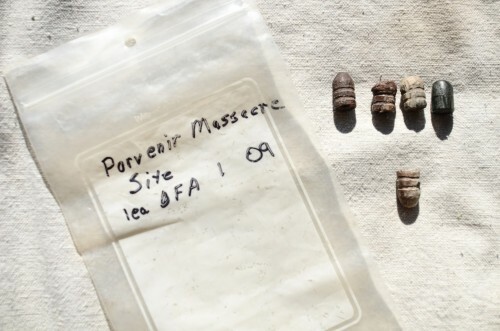 Artifacts at the site of Porvenir Massacre, collected by Glenn Justice (Jessica Lutz). January 28 marks a dark period in regional history. In 1918 more than a dozen West Texas residents – of Mexican descent – were executed near the border. The Texas Rangers were implicated in the killings, but said they were defending themselves against Mexican bandits. Now, modern investigations have thrown this version of history into question. 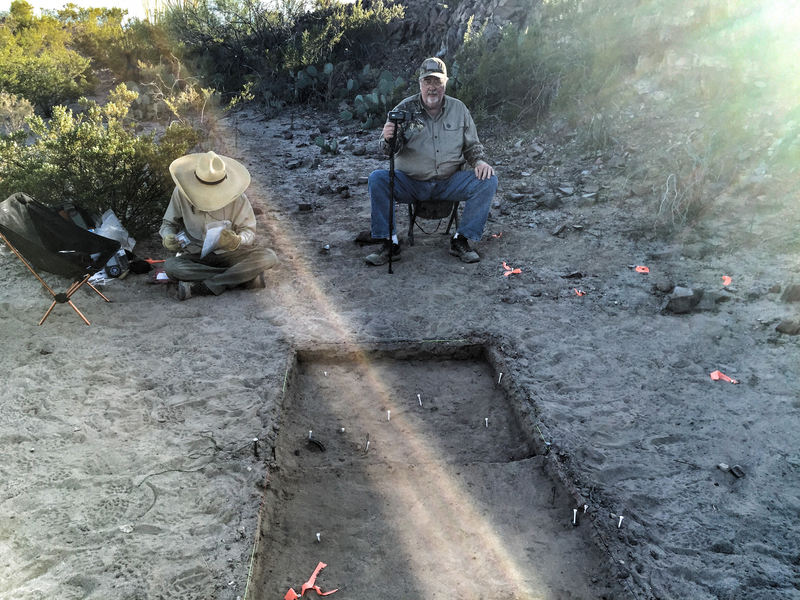 Archeologist David Keller (left) and historian Glenn Justice at the Porvenir Massacre Site as a ray of sunlight streaks across the excavation unit where the victims are believed to have been killed (Jessica Lutz). This entry was posted in KRTS News and tagged Archeology, Mexican Revolution, Pancho Villa, Porvenir Massacre. Bookmark the permalink.